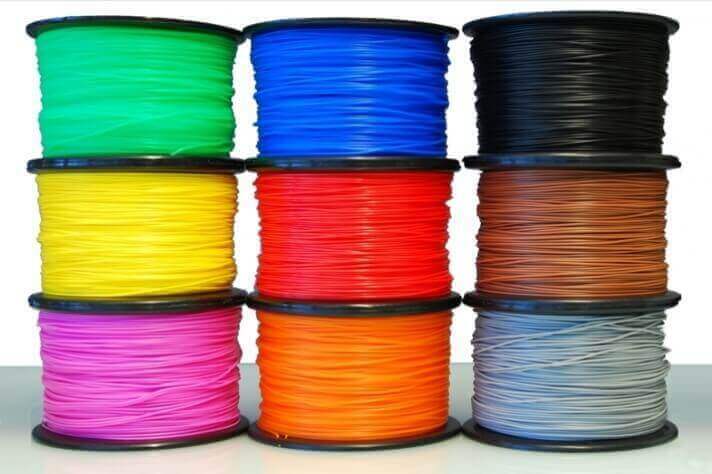 ABS (Acrylonitrile Butadiene Styrene) is the most widely used plastic material in this category due to obvious features of being strong; it is available in a wide range of colours and it is available from a variety of non-proprietary sources, which means it is easily available. This is commonly used for entry level 3D pPrinters and in FDM technology. PLA (PolyLactic Acid) is another widely used material. The main advantage is that it is bio-degradable. It is also available in wide range of colours and even in transparent form. It is used in a filament form in FDM printers, and in resin form in DLP (Digital Light Processing) and SL (Stereolithography) printers. However, PLA is comparably less flexible than ABS and less durable too. These are mostly some basic composites in filament form like wood/polymer or metal/polymer composite. Some amount of wood or metal is mixed with the polymer and made into a filament form. These are mostly used as per the product requirement. There are complex composite materials like carbon fibre and fibreglass which improve the durability and strength of the products. Though these materials are not in regular use but are used as per the specific application. Most commonly used metals are stainless steel, aluminium, cobalt and its derivatives. It is obvious that these materials give better strength. These are mostly used in SL and EBM (Electron beam machining) processes, and they are now largely into regular usage. Gold and Silver can also be directly used as a material for jewellery making. These are very popular materials to be used in powdered form. 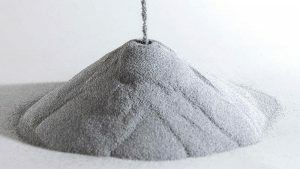 Another material, Titanium, which is one of the strongest metal is also used for 3D Printing applications and used in its powdered form. Ceramic is relatively new in the 3D Printing materials list. The use of ceramics has attracted mixed reviews with varying degree of success. The major drawback being that even after 3D printing the product has to undergo the same traditional finishing processes like firing and glazing. Bio-Materials are very important from the medical point of view. The medical field has gained a lot from the 3D printing technology in terms of manufacturing the bones, prosthetic parts, customised sensors and devices (hearing devices), etc. But these are manufactured from the regular materials and one-off instances where complex materials are used and are successful. However, there is no diversity in the ‘biomaterial ink’. The acceptance for such materials is very limited and there has been no substantial development in this material. Research is on-going and a wide range of biomaterial inks have been developed and will very shortly be put into regular use. 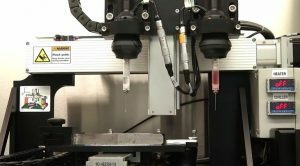 The aim of developing these materials is to plant a 3D printer in every hospital to readily print essential organs like kidney and liver to benefit the mankind and save lives. How many times have you looked forward to having a breakfast in an early morning flight? I really doubt that, but now imagine having a customised breakfast; a 3D Printed breakfast as per your preference, now that would definitely cheer you up. This is the power of 3D printed technology in food industry. 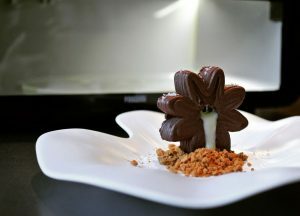 3D food printing is new and grabbed the attention of one and all. The materials are still in its developing stage but it is not long before we actually bring home a printer and print our food, rather than cook. Proprietary materials are actually the materials which you cannot use that easily. These are specifically developed by companies like Stratasys, EOS, etc. with their superior technology and research. They combine different available materials to form useful composites for varying applications. Above were some of the major materials used in 3D Printing. The early machines only used plastic material and that too in a solid form, but now materials are specifically developed for the printers. Either the material is made compatible with the printer or the printer to the material, both go hand in hand. But research is helping develop new materials pretty often. The number and type of materials are adding up in the already long list of materials used for 3D printing. The 3D Printing Process: How does it Work? Additive Manufacturing – How Will It Impact Traditional Supply Chains?